We’re delighted to have achieved a 2* accreditation (‘outstanding’) for excellence in the workplace in the latest Sunday Times (Best Companies) survey. This flagship workplace engagement survey has been a benchmark for an organisation’s success since 2006, and enables companies to demonstrate their level against other companies and measure their own performance with invaluable metrics. In 2016, there were just 209 companies in the 2* category. 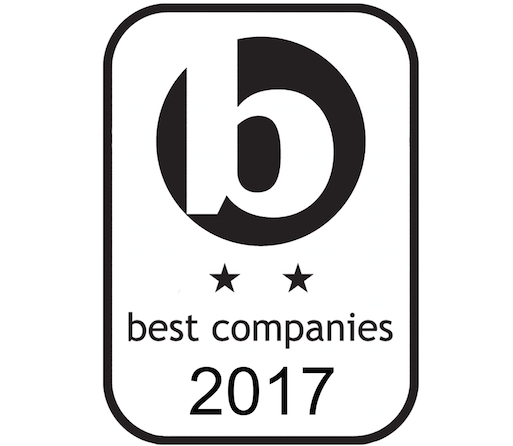 Formal scores for the Best Companies survey 2017 will be announced in the Sunday Times in February.